One bedroom apartments with 2 beds and one place more on the sofa. 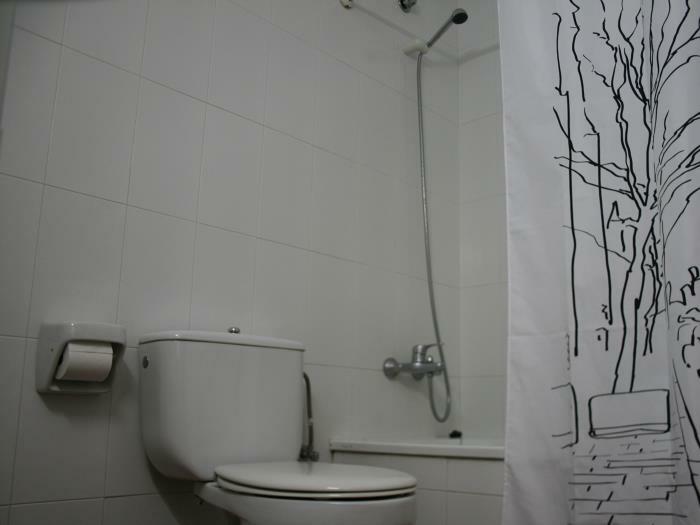 Complete bathroom with sink, toilet, bidet and bath. Electrical water heater. 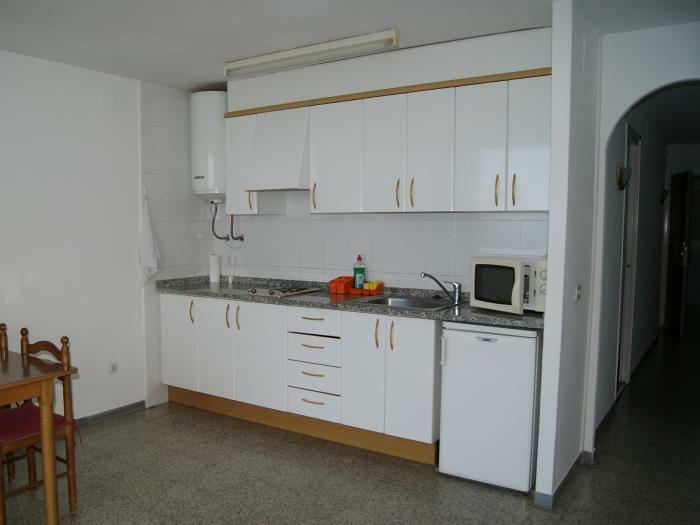 American style kitchen with refrigerator, electrical ceramic hob with two rings, extractor fan, sink and microwave. Lounge with three seater sofa, dining table with four chairs and a TV. Terrace with a table and two chairs. 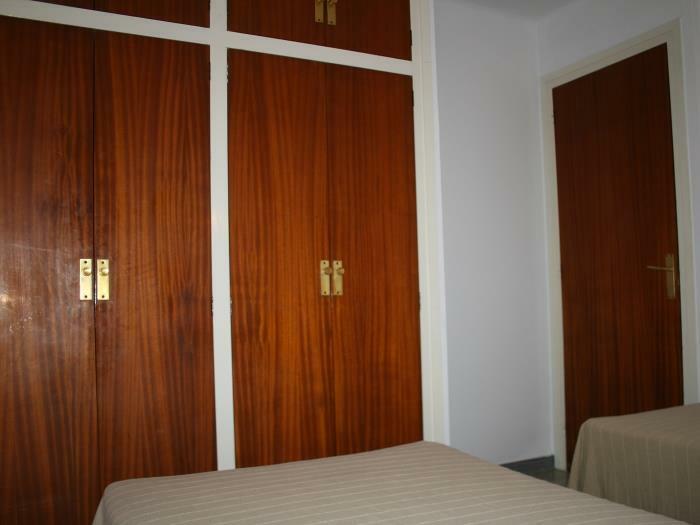 All apartments are offered furnished and with electrical appliances. All kitchens are equipped with crockery and cooking utensils. 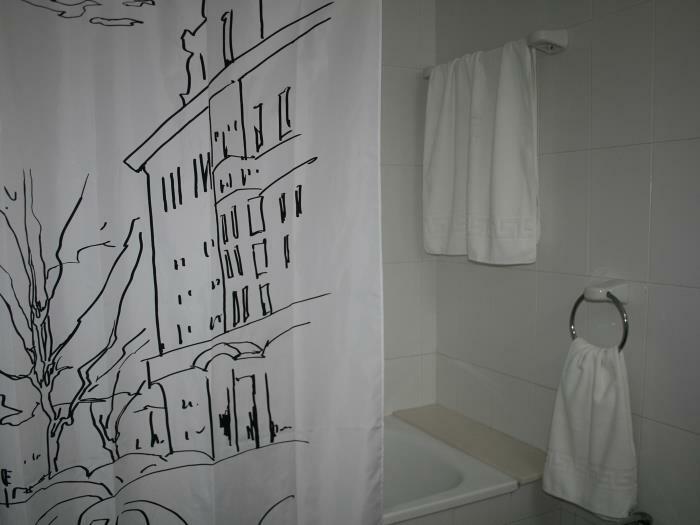 The beds have linen and blankets, the bathrooms have towels, these are changed once a week. 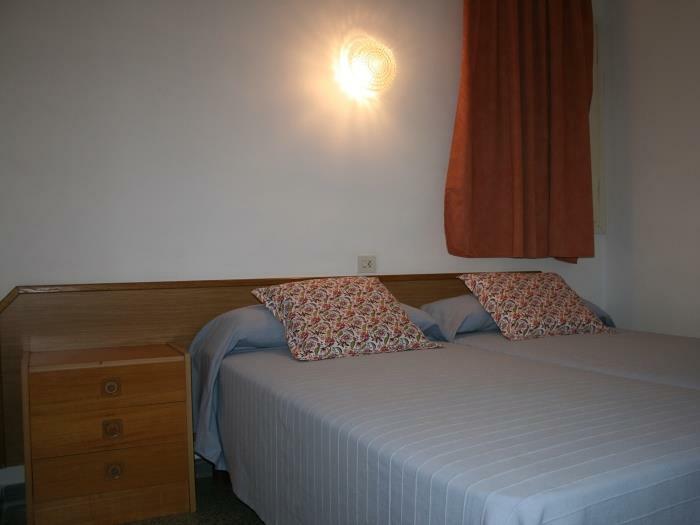 If a change is required before, then for 5€ per person we can provide a set of bed linen and towels. 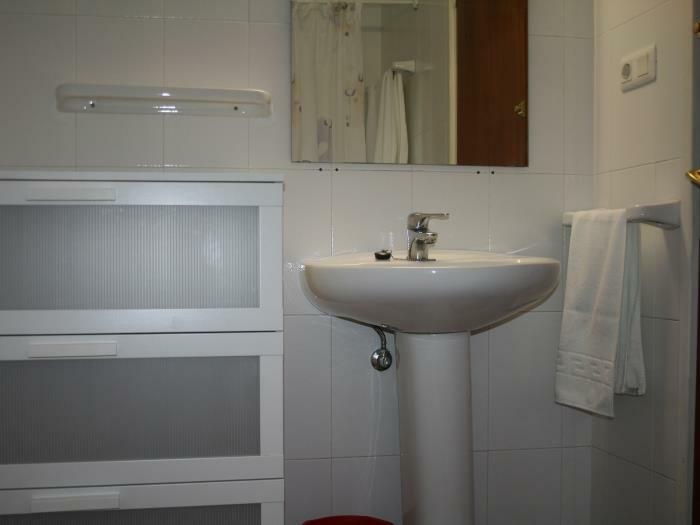 Also for access to the laundry room which has two washing machines, a tumble-dryer, iron and ironing board, the price is 7€ from 10 am. to 6 pm. In a community area downstairs, free of charge there is available WiFi for connection to the internet. 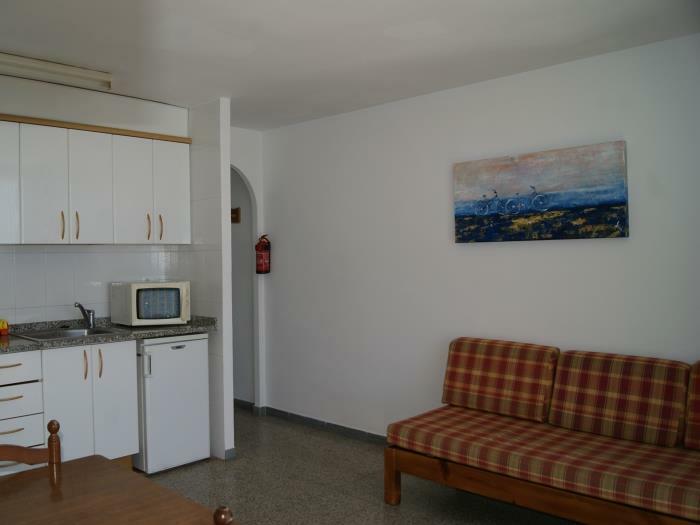 However, for access to a WiFi connection from within the apartments there is a charge: 1€ - 1 hour, 5€ - 24 hours, 15€ - 1 week. 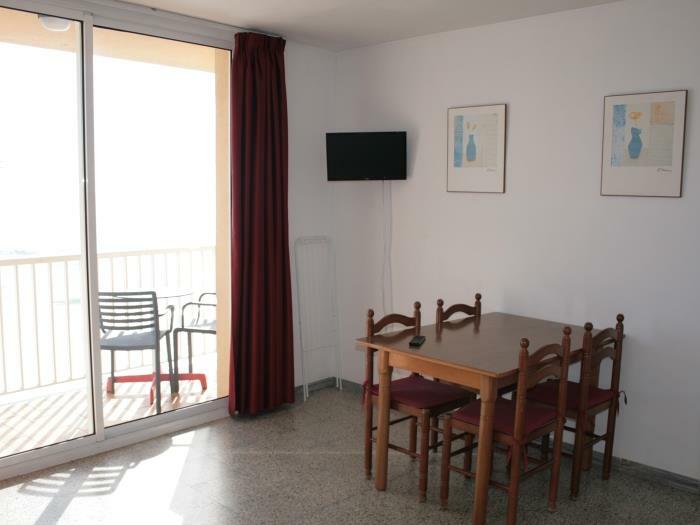 The ´Apartments El Sorrall´ are located in the quiet but touristic town of Blanes, which is considered as the entrance to the Costa Brava. 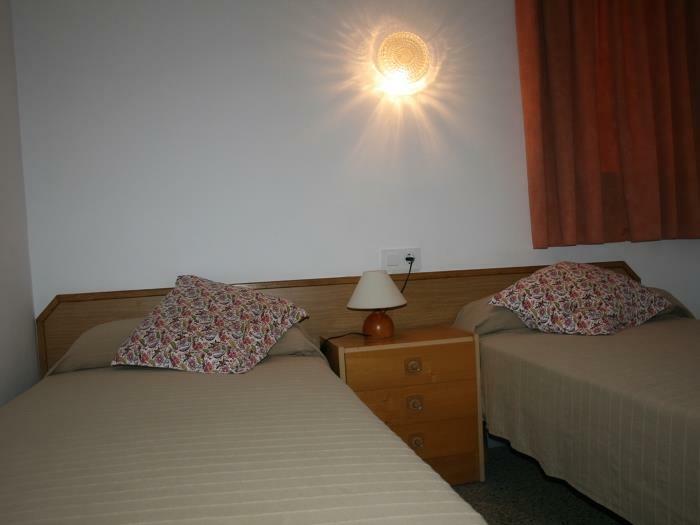 An ideal place to spend a family vacation by the sea and only a stone's throw away from the beach. 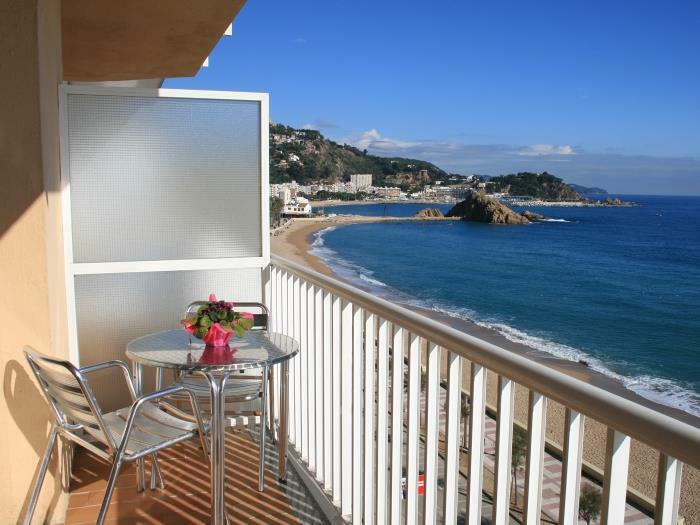 All the apartments have a terrace with spectacular views of the promenade and beach. On the ground floor there is a family restaurant that offers a daily menu of Catalan cuisine. 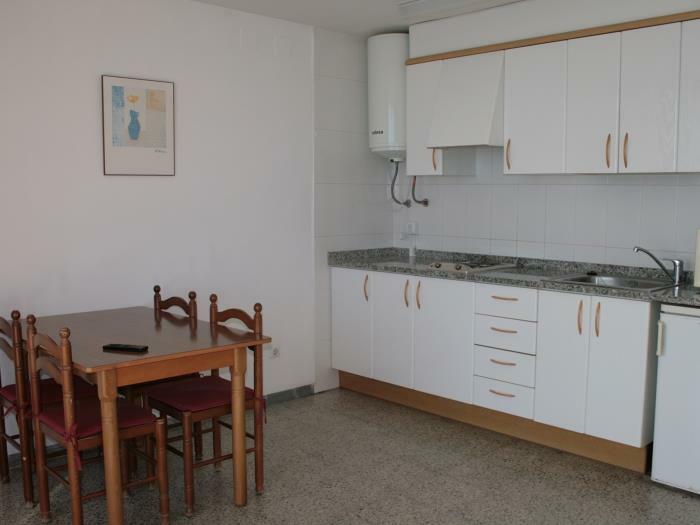 These apartments are only 300m away from the center of Blanes and its immediate surroundings and everyday facilities: supermarket, bakery, daily fruit and vegetable markets, butchers, and other small shops. 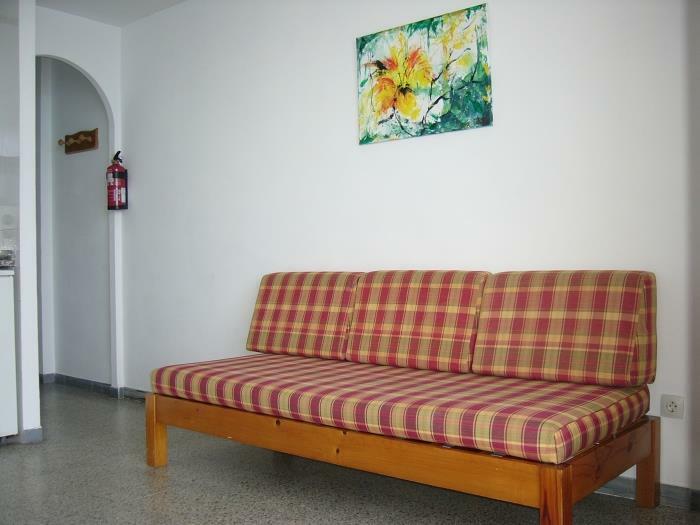 Also, within the vicinity there are facilities such as a sports hall, children´s playground, parking,… and is very well connected with various bus stops.